WiggleDoodle: Despite high food prices, obesity remains a global epidemic - World Bank report. 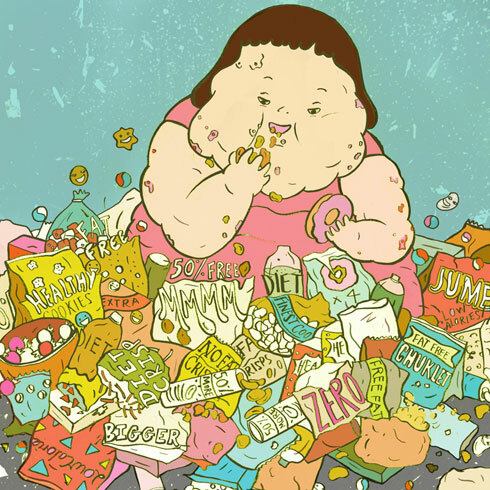 Despite high food prices, obesity remains a global epidemic - World Bank report. Obesity and overweight continue to be a global epidemic problem even in times of high food prices. This is according to the latest edition of the Food Price Watch released by the World Bank Group. The report noted that while global food prices declined in the last six months, these are still very high and are close to their historical peaks. It is because of this that people choose to serve cheaper and less nutritious food for their family. The report further warned that with high and volatile food prices, millions will continue to suffer from poor nutrition, whether it is hunger, undernutrition or obesity which can cause premature death. In 2008, the number of overweight adults was 1.46 billion, of which 508 million were obese. Even conservative estimates see that number rising to 2.16 billion for overweight adults and nearly doubling to 1.12 billion for obese by 2030 across all regions and in countries like China and India. What is sad though is that the report pointed that despite the gravity of this problem, it is not evident that reducing obesity is among the top global policy priorities. Responses to the obesity epidemic have ranged from doing nothing to trying to promote healthier behaviors through taxes, bans or restrictions on certain foods and awareness campaigns. There have also been extreme cases in Japan where fines have been imposed to employees exceeding certain waistline limits.